Three TCC classes could spend 10 days in Cuba this summer. Introduction to Sociology, Intermediate Spanish II and Photo Digital Imaging are the three courses scheduled to spend a portion of the Summer I session in Cuba. If enough students enroll, it will be the first time TCC has had any portion of a class in Cuba. For students to secure a spot in the class, they must pay a deposit of $500 by May 5. 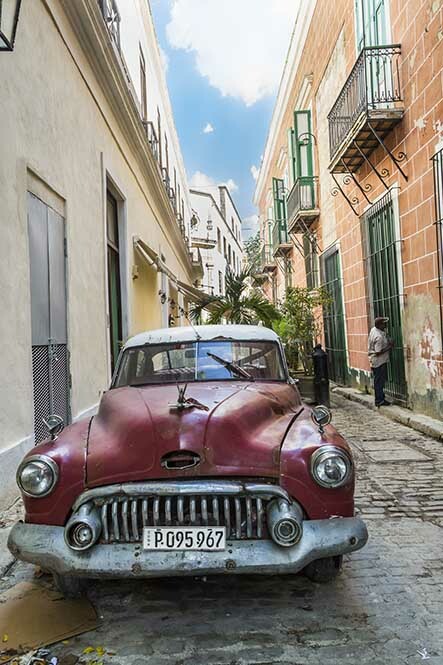 The total cost of the trip is $1,500, which covers airfare, hotel costs, a Cuban visa and in-country transportation to and from the airport, NE photography associate professor Patricia Richards said. “It does not include tuition, spending money, lunches and dinners, entry fees, and/or taxi or other transport services around the city,” she said. Richards spent the last year on faculty development leave and has made five trips to Cuba to photograph the changes on the island. She’s delighted to be one of the professors taking students this summer. Richards will teach the Photo Digital Imaging course. Each class will meet on campus during the first three weeks of summer school, travel to Cuba June 23 and return July 2 for the final week of the first summer session. TR sociology assistant professor Terri Schrantz will teach the Introduction to Sociology class. “During our time in Cuba, we will visit many facilities and interact with the Cuban people,” she said. Traveling with a purpose is one of the best ways to expand one’s education because it offers a direct opportunity for personal and professional growth, Schrantz said. “This Cuba as the Classroom trip will enhance global understanding, appreciation and citizenship,” she said. Havana was the selected destination for these courses for many reasons. “It offers the greatest variety of field observations, sociologically speaking,” she said. To give her current students an opportunity to contribute, Schrantz’ classes have been collecting toiletries to take to Cuba and donate. “I decided to do that right away as I know from folks from Cuba and from research that those items are highly desired and hard to come by,” she said. Due to the mass of items that have already been donated, she’s only taking donations from her current students and those going on the trip this summer, she said. Like the sociology and photography courses, NE Spanish instructor Humberto Rodriguez’s Intermediate Spanish II class will involve a lot of meeting the people of Havana. However, the Spanish class must communicate with them in Spanish. While they’re there, Rodriguez has a project planned for his students. “They’ll pick a topic, and this topic will entail them to actually interview people, speak with them in Spanish, record what they say and then develop their project based off of those interviews,” he said. He’s also hoping to set up home stays for students to live with Cuban families during the trip. For more information, contact Schrantz at teresa.schrantz@tccd.edu, Rodriguez at humberto.rodriguez@tccd.edu or Richards at patricia.richards@tccd.edu.